At Saatchi & Saatchi X, we are strategists, collaborators, and creators helping clients grow while changing shopper behaviors. Our focus is on the evolution of commerce and how it impacts our clients today and tomorrow. We immerse ourselves in our clients’ businesses and bring together brilliant minds to create award-winning campaigns, bold solutions, and ingenious storytelling. We have a unique opportunity to be fully integrated with our client to deliver transformational client services and sustainable results that continue an upward trend as an Account Manager in Northwest Arkansas. Role Summary You are an entrepreneurial leader with a passion for outstanding client service, innovation, and thought leadership. You will lead a book of business, drive positive revenue growth, and collaborate with a cross-functional team to identify new opportunities. You possess a fun, upbeat personality and is inspired when working in a fast-paced environment. You will sit onsite at the client facility and partner closely with cross-functional teams and the client to understand and execute program initiatives and strategies. At Your Core As an Account Manager, it is in your D.N.A. to authentically build and sustain genuine relationships. You understand that the “we” can be more powerful than “me”. You are known, among your colleagues and clients, for being the one person who always delivers on your promises and maintains the highest standards of honesty and integrity. At your core, you act strategically to meet business objectives and team goals. You proactively seek out actionable and thought-provoking opportunities for the client and team. You are an influencer and drive for results. You understand that when the client wins, the agency wins. At Saatchi & Saatchi X, we are strategists, collaborators, and creators helping clients grow while changing shopper behaviors. Our focus is on the evolution of commerce and how it impacts our clients today and tomorrow. We immerse ourselves in our clients’ businesses and bring together brilliant minds to create award-winning campaigns, bold solutions, and ingenious storytelling. We have a unique opportunity for someone who thrives in delivering transformational client services and sustainable results that continue an upward trend as an Agency Capacity Manager for our Cincinnati, Ohio location. The Agency Capacity Manager quickly understands complex problems and provides innovative solutions. •	build timeline awareness around talent capacity and availability. As the Agency Capacity Manager, it is in your D.N.A. to authentically build and sustain genuine relationships. You understand that the “we” can be more powerful than “me”. You are known, among your colleagues and clients, for being the one person who always delivers on your promises and maintains the highest standards of honesty and integrity. •	are an influencer and drive for results. You understand that when the client wins, the agency wins. •	Collaborate with cross-functional leaders to understand deliverable needs and expectations in order to allocate talent resources. •	Facilitate in the reprioritization of work across teams and initiatives based on your ability to build strong relationships and understanding of workflow processes. •	Manage the freelance program (processes and approvals) as well as the negotiation of contractual rates and timelines. •	Provide status updates on assignments, schedule adjustments, and workflow changes. •	Lead key reporting on capacity, time entry, and staffing. •	Proven ability to dive right into the “unknown” and are curious about the “why”. •	Fearless in solving problems with the foresight to be proactive in challenges to come. •	Demonstrated strength to be a connector, internal networker, and collaborative communicator at all levels of staff and leadership. •	Experience with time management and organizational skills is a must and expert knowledge of MS Excel software is expected. •	Bachelor’s Degree in Marketing, Advertising, Management or related field. •	2+ years preferred experience in an agency setting in traffic, capacity or resource management. We have a unique opportunity to be fully integrated with our client to deliver transformational client services and sustainable results that continue an upward trend as the Client Project Leader. This role is located in Northwest Arkansas. This role will sit on-site at our client’s location. •	You are an organized and detail-oriented leader with proven capabilities for driving, owning, and leading project deliverables on-site and remotely; including program details, timing, and scope of initiatives. •	You will sit onsite at the client facility and partner closely with cross-functional teams and the client to: understand and execute program initiatives and strategies; deliver on time, on brief, and on budget while maintaining stewardship responsibilities. •	You are someone who dives right into an expeditious environment and makes sense of it all. •	knowing what to expect, what to do next, and how to keep the team moving to get it all done. As the Client Project Leader, it is in your D.N.A. to authentically build and sustain genuine relationships. You understand that the “we” can be more powerful than “me”. You are known, among your colleagues and clients, for being the one person who always delivers on your promises and maintains the highest standards of honesty and integrity. At your core, you act strategically to meet business objectives and team goals. You proactively seek out actionable and thought-provoking opportunities for the client and team. You are an influencer and drive for results. You understand how to build and sustain genuine relationships. •	Serve as the primary point of contact, across businesses, deliver projects including creative and execution of varying sizes of deliverables. •	Provide real-time status updates on scope, timing, costs, and next steps. •	Continually serve as an engaging partner with Marketing Managers and act as a sounding board for ideas. You are the direct liaison between client, vendors, and the agency. •	Responsible for securing assets and approvals from internal client contacts. •	Proactively identify process improvements and recommend solutions. •	You can demonstrate that you have previously developed strategies and provided advice; probed assumptions, and encouraged the client to challenge presuppositions and not being afraid to propose alternative solutions and methodologies. •	You have the proven ability to bring balance to tight timing and urgent deliverables; as well as being a calming influence in stressful times. •	Demonstrated knowledge of budget management, time management, and organizational skills is easy for you. •	You completely enjoy pushing for clarity, inspire others to get the most out of them, and a great problem solver. •	You possess tenured experience for engaging, communicating, and collaborating with diverse teams and with all levels of management. •	Experience in leading large, complex projects with minimal supervision (at least 3-4+ years of experience in client and project management). •	High capacity professional with clear communication skills and the ability to build relationships and manage multiple contacts with ease. •	Expert in Excel, PowerPoint, and presentations. •	Familiarity with in-store and digital vehicles. (preferred/plus). We have a unique opportunity for a Creative Designer on-site at our client located in Columbus, OH; alongside a talented Saatchi X team. A Creative Designer possesses an energetic and inquisitive mindset who demonstrates a passion for art direction and design. This new role will work collaboratively on a creative team, participating in brainstorms, and bring ideas to life visually through a variety of tactics – both physical and digital. This role is part of a dynamic team that thrives in a fast-paced environment, seems to always deliver the impossible and has a passion for continued professional development. As Creative Designer, it is in your D.N.A. to authentically build and sustain genuine relationships. You are known, among your circle of people, for being the one person who always delivers on your promises and maintains the highest standards of honesty and integrity. •	Have a passion for the unknown and insatiable curiosity about the ‘why’. •	Easily handle multiple projects on tight timelines simultaneously while delivering quality design output. At Saatchi & Saatchi X, we are strategists, collaborators, and creators helping clients grow while changing shopper behaviors. Our focus is on the evolution of commerce and how it impacts our clients today and tomorrow. We immerse ourselves in our clients’ businesses and bring together brilliant minds to create award-winning campaigns, bold solutions, and ingenious storytelling. We have a unique opportunity for someone who thrives in delivering transformational client services and sustainable results that continue an upward trend as a Digital & Media Strategist for our Springdale, Arkansas location. Role Summary – The Digital & Media Strategist possesses a passion for innovative thinking and curiosity to bring digital and media strategies that customers love. This individual will collaborate with agency leaders to develop innovative tools that deliver results for our clients. This role is part of a dynamic team that thrives in a fast-paced environment, continued professional development, and will work with cross-functional teams to design, build and roll-out services that deliver the company’s vision and strategy. At Your Core As the Digital & Media Strategist, it is in your D.N.A. to authentically build and sustain genuine relationships. You understand that the “we” can be more powerful than “me”. You are known, among your colleagues and clients, for being the one person who always delivers on your promises and maintains the highest standards of honesty and integrity. At your core, you: act strategically to meet business objectives and team goals; proactively seek out actionable and thought-provoking opportunities for the client and team; and, are an influencer and drive for results. You understand that when the client wins, the agency wins. Position Overview: The Day to Day Collaborate with cross-functional leaders to understand deliverable needs and client expectations to provide insightful strategies. Develop shopper profiles, shopper journey assessments, and apply other tools and resources to advance internal and external shopper understanding. Facilitate productive and proactive conversations with decision science providers and marketing tech leads to aid in data processes and inputs. Provide best in class and up-to-date trends, through strategic business presentations and research, which reflect shopper strategy and insights. Lead key reporting on qualitative and quantitative data analysis through primary and secondary resources; including end-of campaign reporting and database management. You know you are the “one” for this role because you are/have: Proven ability to dive right into the “unknown” and are curious about the “why”. Fearless in solving problems with the foresight to be proactive in challenges to come. Demonstrated strength to be a connector, internal networker, and collaborative communicator at all levels of staff and leadership. The power of influence and that builds long-lasting value through shared goals and commitments. (You are able to get IT done and bring others with you!) Excitement in researching and presenting brand awareness, industry trends, and shopper psychology. GRIT – because you know that it means more than just knowledge and skill. Bachelor’s Degree in Marketing, Advertising, Management or related field. 3+ years preferred experience in marketing, advertising, promotions, media and/or digital. (CPG and/or retail experience a plus.) Knowledge of mainstream programs and productive research skills. We have a unique opportunity for someone who thrives in delivering transformational client services and sustainable results that continue an upward trend as a Digital & Media Strategist for our Springdale, Arkansas location. The Digital & Media Strategist possesses a passion for innovative thinking and curiosity to bring digital and media strategies that customers love. This individual will collaborate with agency leaders to develop innovative tools that deliver results for our clients. This role is part of a dynamic team that thrives in a fast-paced environment, continued professional development, and will work with cross-functional teams to design, build and rollout services that deliver the company’s vision and strategy. As the Digital & Media Strategist, it is in your D.N.A. to authentically build and sustain genuine relationships. You understand that the “we” can be more powerful than “me”. You are known, among your colleagues and clients, for being the one person who always delivers on your promises and maintains the highest standards of honesty and integrity. •	You understand that when the client wins, the agency wins. •	Collaborate with cross-functional leaders to understand deliverable needs and client expectations to provide insightful strategies. •	Develop shopper profiles, shopper journey assessments, and apply other tools and resources to advance internal and external shopper understanding. •	Facilitate productive and proactive conversations with decision science providers and marketing tech leads to aid in data processes and inputs. •	Provide best in class and up-to-date trends, through strategic business presentations and research, which reflect shopper strategy and insights. •	Lead key reporting on qualitative and quantitative data analysis through primary and secondary resources; including end-of campaign reporting and database management. •	Excitement in researching and presenting brand awareness, industry trends, and shopper psychology. •	GRIT – because you know that it means more than just knowledge and skill. •	Knowledge of mainstream programs and productive research skills. This position is responsible for assisting in the day-to-day management of a 3-6 month digital media campaign working with external vendors and internal partners to execute with excellence. This position will report to the Digital & Media Strategist assigned to the account with daily interaction required. This position is responsible for providing subsidiary report to the greater cross-functional team assigned to the account. At Saatchi & Saatchi X, we are strategists, collaborators, and creators helping clients grow while changing shopper behaviors. Our focus is on the evolution of commerce and how it impacts our clients today and tomorrow. We immerse ourselves in our clients’ businesses and bring together brilliant minds to create award-winning campaigns, bold solutions, and ingenious storytelling. We have a unique opportunity to be fully integrated with our client to deliver transformational client services and sustainable results that continue an upward trend as a Media Asset Manager for our Cincinnati, OH office. ***Role Summary As our Media Asset Manager, you will oversee the development and implementation of an asset management system. In this highly collaborative role, you will: assist in the leadership of the overall strategy, implementation, and workflow of the asset management system; act as the primary liaison between the cross-functional leads, clients, and various vendors with regard to image names, new photography and archiving; facilitate the uploading of assets as well as maintaining and upgrading the system, including the retrieval of previously cataloged images/shoots; register internal and external users to the system based on permissions; and,generate weekly, monthly, and yearly reports. ***At Your Core At your core, you: act strategically to meet business objectives and team goals;have a lot of patience AND a lot of energy; are process oriented, details are everything to you, and you know that being consistent with flexibility is necessary to get the job done. ***You know you are the “one” for this role because you are/have: 2-5 years prior experience with digital and asset file management with MAC and PC Windows. (required) Hands-on experience with Adobe Creative Suite; various document, image, and video file formats; and Microsoft Office Suite is expected. (required)Excellent critical thinking and troubleshooting skills with the ability to communicate effectively with all levels of employees and management. (required)College degree is preferred; however, demonstrated competency can be based on prior experience. At Saatchi & Saatchi X, we are strategists, collaborators, and creators helping clients grow while changing shopper behaviors. Our focus is on the evolution of commerce and how it impacts our clients today and tomorrow. We immerse ourselves in our clients’ businesses and bring together brilliant minds to create award-winning campaigns, bold solutions, and ingenious storytelling. We have a unique opportunity for a Production Manager. 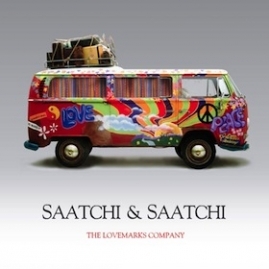 This role is a pivotal role for Saatchi & Saatchi X – located in Cincinnati, Ohio. Role Summary – The Production Manager: Will lead teams in all areas of production management and process alignment for production art, quick turn, print and structure design, and execution. Provides holistic production and project management to bring creative concepts to life from a feasibility, compliance, scope, time and budgeting standpoint. Own production assignments including die lines, cutting PO requirements, send production samples, prototype processes, PODs, final invoicing and installation. Manages art out, vendor proofs, samples, prototypes, and other production-related deliverables; including quality control and pack-outs. Brainstorms and provides proactive solutions for the dream state, future state, and category development design and installations. At Saatchi & Saatchi X, we are strategists, collaborators, and creators helping clients grow while changing shopper behaviors. Our focus is on the evolution of commerce and how it impacts our clients today and tomorrow. We immerse ourselves in our clients’ businesses and bring together brilliant minds to create award-winning campaigns, bold solutions, and ingenious storytelling. We have a unique opportunity for someone who thrives in delivering transformational client services and sustainable results as a Project Manager. This role is for a detailed-focused individual with foresight and passion to lead teams and initiatives on time, and exceed expectations for Saatchi & Saatchi X and our Client. This role is located in Cincinnati, Ohio. *An ambitious spirit for collaboration with a strong sense of curiosity. You make courageous concepts come to life with brilliant ideas while partnering with your team and cross-department collaboration. You lead and drive clarity in job communications, status updates and coordinate all of the details and schedules of jobs traveling through the systems. *Foresight to lead our client & fearless ownership of the business like it is your own. Actively participate in brainstorming sessions that motivate and inspire others. You drool when you hear the words: budget; schedules; estimates; cost savings; efficiencies and project management tools. *Client Love. Your clients will know that you are a student of shopper marketing principles. You want to improve the lives of the shopper but also the lives of your clients. Client connections happen with a positive, proactive spirit…even in the face of adversity. You know the value of deepening professional relationships by consultative communication as well as extending your community network. *One Team, One Dream. You believe in the unreasonable power of creativity that comes from everyone and everywhere. You always have your team’s back and are willing to embrace accountability, curiosity, and passion for our industry niche. *Hustle. Your very presence and work ethic deliver results today, with urgency and excellence, which fuels new possibilities for tomorrow. Contribute to revenue and forecast discussions, and determine the scope of work and timing of projects based on client briefings and partnerships with internal business partners. Assess and drive implementation of processes, communications, and deadlines while proactively managing project expectations and strategies. Analytically think with the foresight to solve great problems, influence others, and add value with input for our clients. What it’s like to work in this role? You will be in constant communication with the top brands in the world. With this knowledge, you will lead cross-functional collaboration that influences strategic and creative input. You are the representation of the agency’s knowledge and advocacy for the client. You will work with an incredibly curious and fearless team that understands the need for humanity and mutuality in the work and in our partnerships. You will have a leadership team that constantly thinks through the lens of foresight while delivering with urgency and excellence that fuels new possibilities for tomorrow. At Saatchi & Saatchi X, we are strategists, collaborators, and creators helping clients grow while changing shopper behaviors. Our focus is on the evolution of commerce and how it impacts our clients today and tomorrow. We immerse ourselves in our clients’ businesses and bring together brilliant minds to create award-winning campaigns, bold solutions, and ingenious storytelling. We have a unique opportunity to be fully integrated with our client to deliver transformational client services and sustainable results that continue an upward trend as a Senior Account Manager, on-site with our Client in Dublin, Ohio. Role Summary — You are an entrepreneurial leader with a passion for outstanding client service, innovation, and thought leadership. You will lead a book of business, drive positive revenue growth, and collaborate with a cross-functional team to identify new opportunities. You possess a fun, upbeat personality and is inspired when working in a fast-paced environment. You will sit onsite at the client facility and partner closely with cross-functional teams and the client to understand and execute program initiatives and strategies. At Your Core — As a Senior Account Manager, it is in your D.N.A. to authentically build and sustain genuine relationships. You understand that the “we” can be more powerful than “me”. You are known, among your colleagues and clients, for being the one person who always delivers on your promises and maintains the highest standards of honesty and integrity. At your core, you act strategically to meet business objectives and team goals. You proactively seek out actionable and thought-provoking opportunities for the client and team. You are an influencer and drive for results. You understand that when the client wins, the agency wins. Position Overview: The Day to Day — Responsible for contributing to revenue and forecast discussions, and lead the book of business. Present to the client and senior leadership using strategic storytelling and creativity. Serve as a direct liaison between client and agency. Partner with the client to understand business initiatives and strategy. Comfortable having strategic conversations with senior-level clients. Leads a cross-functional internal team and identifies opportunities to raise the level of the work. Able to manage internal conflicts when they arise with straight talk. Collaborates with cross-functional team members. Leads and executes large initiatives from start to finish. You know you are the “one” for this role because you are/have: A curious and passionate degreed educated individual (or equivalent industry experience. Demonstrated success in growing client business. Tenured experience in being a strategic partner, with C-Suite and Executive level leadership, that has influenced the push of initiatives for the betterment of the company and client. Previously developed strategies and provided advice; probed assumptions, and encouraged the client to challenge presuppositions and not being afraid to propose alternative solutions and methodologies. Delivered your work and leads a team with a sense of urgency and excellence today that fuels new possibilities for tomorrow. The Senior Agency Production Manager is accountable for the full scope of technical, content, timing and cost for assigned projects. Leads production for one or more teams in the creative development and technical implementation of branded content. Executes ideas within or across media platforms providing expert knowledge in talent, techniques and technologies necessary to execute the work. Supervises Producers and Associate Producers responsible for managing internal and external resources necessary to ensure the best content production value possible for the idea and the client. •	Consult and collaborate with Creative Director and other SMEs on approach, style, timelines, and expected results on assigned projects. •	Engage internal resources and external supplier partners to drive executional excellence. •	Collaborate with department SMEs to define and recommend technological and specification requirements within/or across platforms/channels/tactics. •	Maintain knowledge of industry trends, techniques, new technologies and talent. •	Identify and manage all facets of work including building out specifications, estimating and bidding CGI from approved vendor list, shooting photography/building and capturing all assets; utilizing external and internal resources for design, build, engineering and deployment. •	Collaborate with Department SMEs on printing and finishing techniques, mailing, distribution and fulfillment requirements, press schedules and paper requirements, color standards and overall production strategy. •	Collaborate with Procurement to manage talent/business aspects including production bidding, talent engagement and contracting: business and talent management. •	Collaborate with Department SMEs to drive cross-platform synergies and efficiencies. •	Maintain fluency in areas of expertise while actively pursuing cross-training opportunities. •	Manage with direct reports (Producers and Associate Producers) within a specific brand or project. •	Contribute to enhancement of creative product in partnership with creatives, suppliers and department SMEs at all stages of the process. •	Balance creative enhancements and executional efficiency throughout project. •	Ensure adherence to technical specifications, compliance and legal through effective communication and support throughout the project.